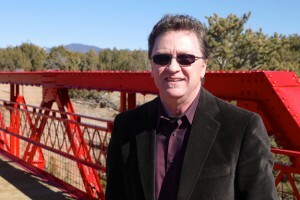 Since 2013, Clayton Bass has served as Chief Executive Officer of Santa Fe Botanical Garden where he is leading a multi-phased campaign to build The Santa Fe Botanical Garden at Museum Hill. Phase One of the Garden opened in July of 2013. Phase Two is scheduled to open in 2016. Bass brings twenty-four years of fundraising and museum experience to the Garden, having recently served as Partner with Alexander Haas, an Atlanta based fundraising firm. Previously, Bass was President and CEO of the Huntsville Museum of Art, where he led a $14 million campaign for capital, endowment and acquisition funds, culminating in the opening of the Davidson Center for the Arts. Clayton served as Executive Director of the Walter Anderson Museum of Art in Mississippi and was the Coordinator of Exhibitions at the Michael C. Carlos Museum at Emory University in Atlanta. There he worked with architect Michael Graves on their $13 million expansion. A member of the American Public Gardens Association, he has also served on the Accreditation Site Review Committee for the American Alliance of Museums, and the Southeastern Art Museum Directors organization. A North Carolina native, Clayton graduated from East Carolina University with a BFA in painting. He completed the State University of New York Studio Semester Program, which included an apprenticeship with artist Michael Goldberg. Clayton has an active second career as an artist creating paintings inspired by nature. He has shown his work professionally for the past 25 years. 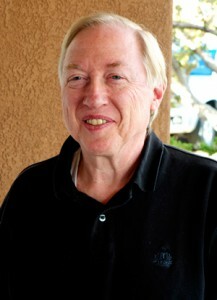 He is married to children’s author Hester Bass. They have two young adult children who live in Santa Fe. Clayton enjoys travel, hiking, gardening and photography. A native of the Hudson River Valley, George has spent his life gradually moving farther west, settling full time in Santa Fe where he and his wife hope to remain forever. He received a BA in Mathematics from Hartwick College in Oneonta, New York and an MS in each of Mathematics and Computer Science from Ohio State. George began his career in Houston with Andersen Consulting (now Accenture) where he was a partner for five years. He then held executive positions in several other consulting firms and technology startups. He is a CPA in both New Mexico and Texas. George is also a writer and teacher. He developed a framework for teaching business and professional ethics and wrote a book on that subject which has been used at several universities. He developed and taught “Science Policy and Ethics” for Rice University. He and his wife enjoy the Santa Fe arts and music scenes and wrestle with the elements and wildlife to preserve their own backyard garden. scott@santafebotanicalgarden.org Scott has worked in botanical gardens since 1989. He worked at the Brooklyn Botanic Garden in sales and marketing from 1989 until 1992, when he moved to Albuquerque to take over a small landscaping business from a friend. He worked at the Albuquerque location of Plants of the Southwest, too, until 1994 when he moved back to the Brooklyn Botanic Garden as a curator of the greenhouses. He specialized in Mediterranean-climate plants of the world. In 1998 he became the rosarian for the BBG’s Cranford Rose Garden, comprising more than 5,000 plants of some 1,500 varieties of rose. In 2001 he moved to Wave Hill, a public garden and cultural center in the Riverdale section of the Bronx. Scott was Director of Horticulture there for 13 years before making his dream come true; moving back to New Mexico. 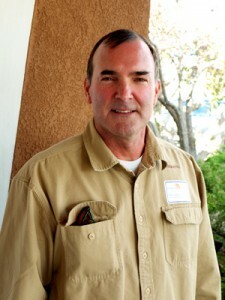 He became the Horticulture and Special Projects Director for the Santa Fe Botanical Garden in April 2014. Rebecca has worked primarily in the biosciences and cultural arts and is a recognized leader in non-profit publishing, marketing, and communications. She has served as the Executive Editor of the Journal of the American Academy of Child and Adolescent Psychiatry and the Associate Director of Publishing for the American Association of Pharmaceutical Scientists and most recently as the Director of Marketing and Communications for Santa Fe Pro Musica. The Santa Fe Botanical Garden is the perfect intersection of Rebecca’s passion for science and the arts. Rebecca and her husband, Chris Biemesderfer, are fairly new residents in Santa Fe having spent the last 20 years in Tucson and Washington DC. Rebecca enjoys spending time with her family, supporting the arts and music community, cooking and volunteering. She is honored to join the enthusiastic team at the Santa Fe Botanical Garden. A native of the Southwest, Mollie grew up in Prescott, AZ and Albuquerque, NM, where she developed a deep appreciation for the natural world. Moving to New England for college, she earned a degree in Art History from Brown University, followed by masters in education from Harvard University and Boston College, specializing in curriculum development. 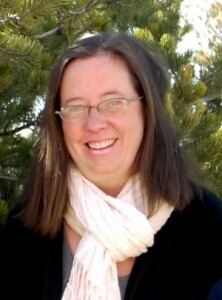 After several years teaching in the Boston area, she was excited to move back to New Mexico, where she worked as the Science Specialist for the Rio Grande School in Santa Fe from 2009 – 2013. At RGS, she placed a particular emphasis on issues of sustainability and the environment. She is thrilled to join the SFBG as its founding Director of Education, and she looks forward to continuing to build partnerships and educating the community about Santa Fe’s ecology. In her spare time, she enjoys hiking in the Santa Fe National Forest, reading any book she can get her hands on, cooking with her husband, Ben, and gardening in her caliche-filled yard. Lindsay Taylor earned her Bachelor’s Degree from the University of Delaware in Theatre Production & Spanish. Upon graduation, she taught high school Drama & Spanish, where she built the Drama department from 15 students to more than 100. In 2008, the Rocky Mountains called her west, and she found the nonprofit community in Denver, Colorado, serving for organizations such as Ballet Nouveau Colorado (now Wonderbound) and Swallow Hill Music. As Director of Marketing for Swallow Hill Music, she began an archival program, honoring the organization’s 40 years, and drove attendance to the highest in the organization’s history. She believes that marketing is at its best when it is rooted in building community. Lindsay relocated to Santa Fe in 2017, and she joined the Santa Fe Botanical Garden team in 2018. Cristina has worked for SFBG since 2010. She graduated with a Bachelor of Science in biology from Duke University and a Masters of Science in biology from Stanford University, focused in plant ecology and evolution. She worked for National Tropical Botanical Garden as the Plant Recorder from 2003-2005. Her role involves curatorial and management responsibilities of the living collection, digital mapping using geographic information systems (GIS), and web/social media projects. Cristina also works as the internal database administrator for Altru, a web-based software. She previously held the position as Development Coordinator (2010-2013), and supported fundraising for the capital campaign to build phase one of the Botanical Garden at Museum Hill. 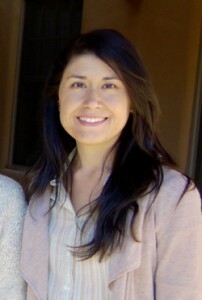 Cristina volunteers for Santa Fe Alliance for Science and as a coach for Girls on the Run at El Camino Real Academy. When not outdoors hiking, playing tennis, biking or traveling (especially for escapes to the ocean to swim, snorkel, surf and kayak), she enjoys yoga, volunteering, concerts, cooking, and spending time with family and friends. Candace Allen was born and raised in Southern California where she studied art and photography at Pasadena City College and Art Center College of Design in Los Angeles, where she received a BA in Photography. After working for many years as a photographer, she moved to Santa Fe where she chose to take a break from photography and became a volunteer at the Palace of the Governors Museum Shop. She was subsequently hired and ended up working for the museum shops for 23 years in a variety of positions. With many years of experience with the Museum Store Association, which includes botanical gardens, arboreta, and nature centers from all over the world, she is now very happy to be the Retail Coordinator for the Santa Fe Botanical Garden. Candace is also a volunteer for the International Folk Art Alliance and is in charge of the payment stations for the market. In her spare time, she and her husband Marshall enjoy music and film and spending time with two golden retrievers, one feral cat, and extended family and friends. Ellen has worked for decades in the non-profit world in northern New Mexico. She has recruited and engaged volunteers involved in community-based projects, fundraising, and direct client services. She received a Masters Degree in Community Development from University of California-Davis. She lives in the Pojoaque Valley and husband and college aged daughter, who is becoming a nurse practitioner. Ellen has a passion for all things related to managing her small orchard and home garden and is involved with the efforts to sustain the local acequia system. In her free time she is a jeweler, and enjoys exploring northern New Mexico with her husband, Steve. Shawna Jones is a native New Mexican who enjoys providing inspiring educational classes to the Santa Fe community. Shawna received her bachelor’s degree from Texas Tech University in Social Work and Spanish and her Masters degree in Public Administration with a focus on nonprofit development. Shawna’s passion for community development began with her time in the Peace Corps where she was a Youth and Family Development volunteer in El Salvador. Shawna also worked at El Camino Real Academy as a Community Resource Coordinator for several years. In her free time, Shawna loves to paint, hike, and play in her garden. Nicole has worked with community-based organizations to develop, implement, and market educational programs in sciences, arts, and leadership. She has a bachelor of science in agricultural communications from Oklahoma State University where she developed a love for soil and saw it as far more than a means to get vibrant colors in a garden. She earned a master’s in agricultural leadership from University of Georgia. She began her career in Extension at LSU AgCenter where she worked with 1400 4-H members and dozens of volunteers. She’s on the Board of Trustees at Desert Academy and volunteers with Adaptive Sports Program and The Santa Fe Opera. In her free time she enjoys cooking, reading, gardening, hiking, skiing, and camping. Madeleine Bavley, is a recent transplant to New Mexico, drawn here by the stunning landscapes. Madeleine is a recent graduate of Columbia University, where she studied Spanish and Environmental Anthropology. Since then, she has taught English in Thailand, studied yoga in India, and worked as a study abroad program assistant in Spain, along with some odd jobs in between. Madeleine’s time abroad has fueled her curiosity for learning how different cultures interact with their natural environments, which is why she was delighted to join the Santa Fe Botanical Garden as a YCC crew member in 2017. In 2018 she joined the Botanical Garden staff to create an AmeriCorps program in collaboration with Cooking with Kids. In her free time, Madeleine enjoys hiking and camping, brewing kombucha, and experimenting with green chiles in the kitchen. Mary Ann is a Montana native who has lived all over the country pursuing her career as a Presbyterian pastor, and is delighted to have settled in Santa Fe after her retirement. She loved gardening wherever she has lived and really enjoys working at the Santa Fe Botanical Garden. Natalie was born in Santa Fe, New Mexico, but moved to the east coast when she was in elementary school. She went to University of Colorado and Montana State University for undergraduate school and got a master’s degree in Landscape Architecture at UC Berekely California. She worked for a large landscape architectural firm in northern California for 29 years before returning to Santa Fe in 2013. She has been volunteering for the Santa Fe Botanical Garden since the fall of 2013. Donna worked as a garden designer in the San Francisco Bay Area for over 15 years before moving to Santa Fe in 2007. She has a Certificate in Garden Design from UC Berkeley. Her current landscape focus is rewilding and sustainability. She is an advocate for developing the awareness of our personal stewardship of the natural world. Linda was born in NYC where she lived for 28 years until moving to New Jersey with her two daughters. She moved to Santa Fe in 1992 after traveling around the country with her future husband. She has had a varied career including working for typesetting companies on the east coast, 2 seasons at Yellowstone National Park, owning her own word processing/graphic design company in Santa Fe and working for a small law firm in Santa Fe as a paralegal for 11 years. She has volunteered for the Santa Fe Botanical Garden since 2014. 2018 YCC Crew: Nina (left), Kayla, Hippolyte, Eli, Esme, Cameron, and Noah. The Youth Conservation Corps is a national organization that works to empower youth through summer employment opportunities. For 8 weeks this summer the SFBG YCC Crew will be focused on removing invasive species from the fragile ecosystem at the Leonora Curtin Wetlands Preserve in Santa Fe County. This summers crew includes 7 hard workers from Santa Fe and Northern New Mexico including co-leads Nina Katz and Noah Watts-Fried and members Cameron Bayly, Hippolyte Bernard, Elias Elicio, Esmerelda Flores and Kayla Tenorio. If you would like to stay in the know about what our crew accomplishes this summer be sure to follow our blog, Botanical Adventures. YCC Lead, Nina Katz ended up in New Mexico after graduating from St. Mary’s College of Maryland where she studied environmental studies and philosophy. Since moving West Nina has worked primarily in outdoor and environmental education through which she has loved getting to know the beautiful New Mexican landscape. Nina is excited to be co-leading this summers YCC crew as well as coordinating the Master Naturalist Program in the fall. When she is not at work you can find Nina cooking, playing music with friends, volunteering, camping or hiking. Paloma–I wanted to do the internship at the Botanical Garden because I thought it would be an interesting thing to do during the summer, and I really like to plant things, even though they always die. I’ve been learning how to not kill my plants, so that’s cool. I like learning about the different types of plants and setting up activities for the families that come in to the Botanical Gardens. I love music and not accidentally murdering plants. Revely—I am 13 years old and have lived in Sana Fe for my whole life. I enjoy being at the garden because the plants and the land allow me to collect my thoughts and calm down. I also think the plants are really beautiful. I think it is crazy how plants and flowers can grow in New Mexico, even though there is so little water. I like doing the internship at the botanical gardens because it allows me to show other people the beauty of the gardens. Emma–I am 14 years old, and I go to Santa Fe Prep. This is my second summer at the garden. I love being here over the summer because the garden becomes very beautiful. One of my favorite parts about working at the garden is watching people enjoy the activities and the garden. My favorite activities are either listening to or playing music and I spend most of my time doing one of those. Kate–I’m 15 years old and an upcoming sophomore at Santa Fe Prep. Summer 2017 marks my fifth summer as an intern at the Garden. I have loved seeing how much the garden grows and changes each summer. Though plants aren’t necessarily my passion, I do like setting up activities to do with the many children that come and visit the garden. I am glad that I am able to learn and teach others about the land that I live on in a space that is beautiful and close to where I live. Other than what I do in the garden, I enjoy music, speech and debate, and creative writing. Lorenzo–I am 15 years old and this is my 2nd year as an intern at SFBG. I go to New Mexico Connections Academy, and will be going into 10th grade this year. I greatly enjoy coming to and working in the garden, since I like the outdoors, but there’s not much green in Santa Fe. I also enjoy listening to music, as well as playing video games and spending time with my friends. Our work would not be possible without the dedicated core of volunteers who serve as docents at our preserve and public garden, lecture speakers, educators for school programs, horticulturalists, contributing authors of articles and research, photographers, artists, graphic designers, and so much more.